10 inches of Nintendo Direct predicted for tomorrow. @NEStalgia Oh, we also had those over here, about 10 years ago. But ever since they privatized the company (used to be owned by the government), they seem to have gained a far bigger budget, resulting in faster replacements of older vehicles. 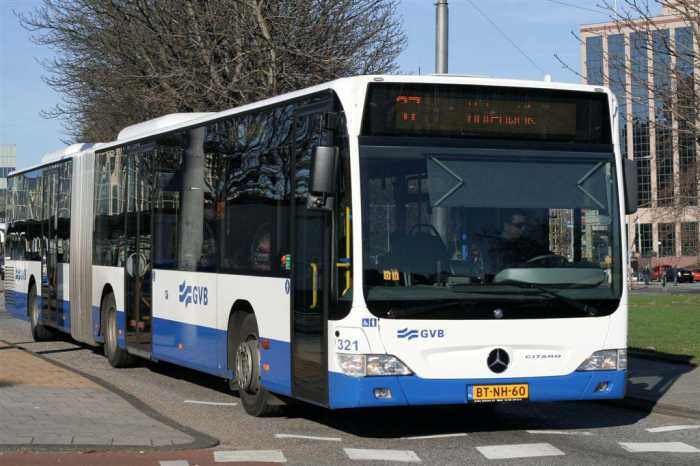 The model on that picture, is actually a Mercedes Benz Citaro bus. until they were completely owned by private investors and directors, and they were much improved, such as the models at the top. Same goes for the subway and street cars/trams. They more or less have the same interior. Trains are now also privately owned, and these too have been heavily modernized. @ThanosReXXX Oh my, those 2 red buses are ugly. It's like they were designed by some WWII aficionado who had a thing for armored transport vehicles. You guys ever just walk into a thread and are unsuspectingly hit by several buses? @rjejr Back in their time, they weren't considered as ugly, but as state of the art, and very sturdy and durable. They were made by DAF, which for all intent and purposes, is the Dutch equivalent of Volvo. They make trucks and buses that last a LONG time. Even outside the Netherlands they are well known in certain circles, in large part because DAF trucks also always compete in the Paris-Dakar race. I don't know when exactly you were over here, but you must have seen some of these models driving around. Outside of the city, they had different colors, for the various regions, but the models were largely all the same. That burgundy red bus was yellow in more rural areas and in other cities, it was dark blue. So this is what happens when I drift in and out less often, huh? Prime example why Tramadol and Google Images shouldn’t be used together. @JackEatsSparrows And what do you know about Tramadol, hm? But in all seriousness: I'm in full possession of all my faculties, so no drug has addled my brain in any meaningful way. Been using it now since last week Wednesday, and only the first three days did the side effects of the drug bother me, but by now I'm already used to it. "Same goes for the subway and street cars/trams. They more or less have the same interior. Trains are now also privately owned, and these too have been heavily modernized." Looper was a great watch. Next I'm gonna watch Coherence and Edge of Tomorrow. I just don't get it... Where's the urine? The layer of black sticky "something" that coats every surface? The dirty diapers under the seat? The bottles of booze in paper bags? You Euro lightweights are doing transit all wrong... . No etched graffiti into the windows! No sense that i may get groped at random by someone of difficult to discern gender (or species)! But yeah, it’s not a terribly disruptive med. I think most common discomfort is a tummy ache. Like most pain meds. Glad it helps some, the ribs are horrible to break. We never think about how much work a single bone or area does till it’s not 100%. Hope you can get some sort of financial relief though, wherever it’s from. @Ninfan No thanks. And I don't use my 3DS anymore anyway. And more importantly: I only game with people that I actually know, no offense. @JackEatsSparrows I have had this injury before, but the first time I broke one, it was during winter sports, so more or less my own fault. I always say that in times like these, you're never more aware of having ribs, or whatever body part is hurt. Normally, you're just not that aware. Busted my back on several occasions as well, and in those instances too, I was never more aware of the fact that I had a back, than when I was in pain because of it. As for my personal experience with Tramadol: on the first day I experienced nausea, dizziness, sweating, itching, a dry mouth, and drowsiness, so practically all side effects listed, and I couldn't even finish my dinner, so my appetite was also severely diminished. The second day was just dizziness, dry mouth and drowsiness, and on the third day, I was only mildly light-headed, and by now, six days in, I'm actually wondering if they're helping at all, because even though I'm sleeping a little bit better than before starting with the painkillers, I can still feel the pain regardless. M'kay folks, what'd I miss besides a Nintendo Direct announcement? And who went and topped off NL's public transportation fund? And that started a whole discussion about interiors and exteriors of public transport in Amsterdam.